Sales of industrial sealed air-tight OEM and industrial process blowers and fans, commercial ventilators, OEM fan / blower components. 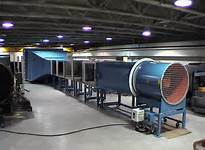 Supply of combustion pressure blowers, high temperature oven fan ventilators, dust collecting fan, blowers, ventilators, fume scrubber blowers, FRP ventilators, tube axial and vane axial ventilators and industrial inline duct fans, ventilators and blowers. Supply of Woods, MK Plastics, Robinson Industrial, Garden City Fan, Loren Cook, Jen-air, Jenn Fan, Aeroflo, Grainger, Greenheck, Kice Fan, ILG Industries, Canada Fan, Industrial Air, Ceilcote, Breidert, Anderson 2000, Solar and Palau, Strobic air, Trane, TCF Axial ventilators. Precisely engineered by our technical team, our range of blower impellers, fan wheels, double inlet impellers are sturdy and durable industrial applications. These industrial wheel blades are specially designed for high efficiency and stable performance in the industry specific processes. That's why these single width blower impellers and double width wheels are widely used by our customers across the globe. 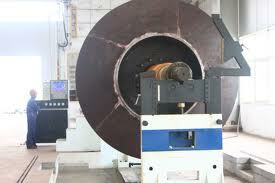 We offer a large line of Double Width Fan Wheels, single inlet blower impellers and fan wheel / shaft assemblies. Manufactured per highest industrial certification standards, these impellers are equipped with liner plates to enhance its durability. Fan Impeller & Shaft Assemblies are made accordin to the top industry manufacturing standards and used in different industries like Petrochemical, Steel, Paper Production and others. The high efficiency blades design helps to achieve high operational speeds, as well as stable performance - for critical industrial process requirements. Being dynamically balanced, they are finished with industrial grade paints - for long reliable service in tough process applications. 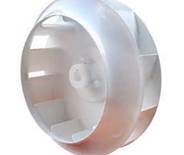 Backwardly Curved and Airfoil Fan Wheels are among our wide range of fan / blower impellers that are manufactured using high-grade materials, as well as using casting process with ceramic and aluminum materials utilized. We also ensure that the impeller range is well tested per the defined operational parameters - to provide for optimum functional in the tough process applications. Further, these impellers are finished with protective coatings to witstand aggressive chemical gases and liquids. Fan / Blower Wheel Balancing is done per highest air moving industry standards - to ensure smooth and energy efficient ventilator operation. Reliable and maintenance free fan and blower work is our general goal. 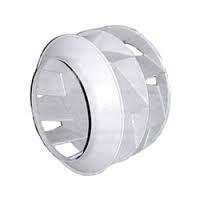 - For higher pressures we offer steel pressure blowers. ventilating.com fanblower.com highpressureblower.net industrialblowerfan.com industrialfanblower.net industrialfanblower.com pressureblower.net northernindustrialsupplycompany.com industrialpressureblower.com tenderall.com chicagoblowercanada.com cbblower.com buffaloblower.com buffalofan.com nis-co.com canadianblower.com olegsystems.com canadablower.com abbblower.com acmefan.net industrialblower.net fansandblowers.net americanblower.net barryfan.com cincinnatifan.net canadafans.com barryfan.netpennbarry.net pennfan.net tcffan.com.